B is for Back to School! The letter is also for book, blue, baby and more words than your child can list yet. I’m big into book-making. For a while I tried sewing my own journals together – it didn’t go so well. My book activities for children are much easier, and super-fun to make. I’ve made holiday books, famous artists books and more. This time we’re celebrating back to school with a letter B book. This alphabet art activity is the total B package. Your child will find the letter in each and every part of the process. Brush up on B before the school bus comes, and start this project now! 1. Fold an 8x11-inch piece of card stock paper in half book style. 2. Draw the letter B on the front of the paper. Make it bubble style, sizing it to fill the front of the paper. 3. Cut out the B. Poke the scissors through the holes in the B and cut them out. Do this part for your child, as she could poke her hand when going through the paper. 4. Fold 8x11-inch paper inside of the B. Cut the paper out to match the B’s outline. 5. Open the B. 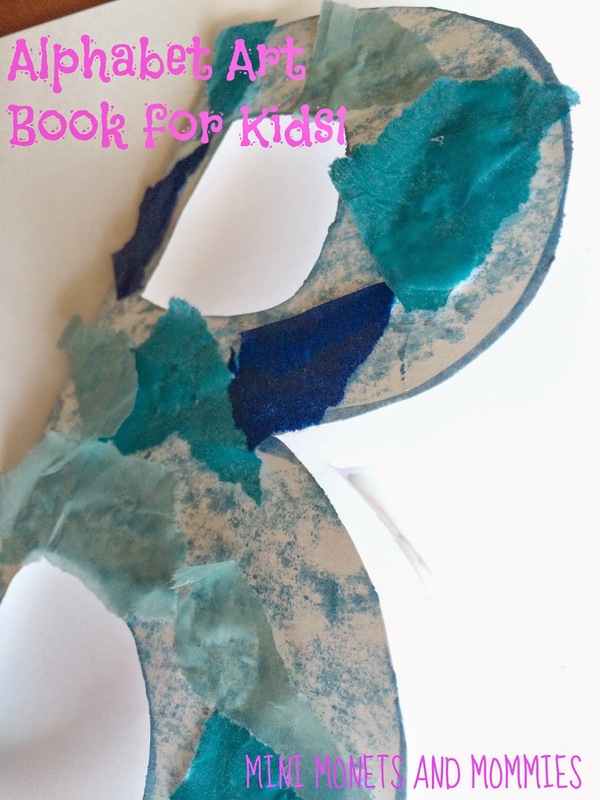 Have your child color, collage or cover it with glitter glue in a B color—either blue or brown. 6. Put the paper into the decorated B. 7. Bind the B either by stapling it at the seams or punch holes through the left side and secure it with yarn. 8. Look through child-friendly magazines for pictures of B words. Have your child cut them out and glue them to the pages of the book. Label the pictures with the words for your child or have her write them if she can. 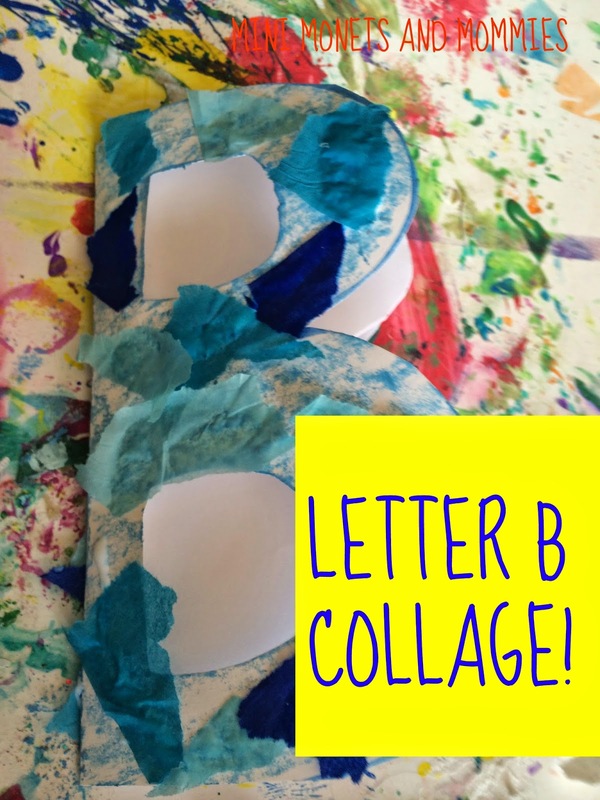 Are you looking for more artsy alphabet activities? Check out my eBook the A-B-C’s of A-R-T! and follow my Pinterest board for ideas! 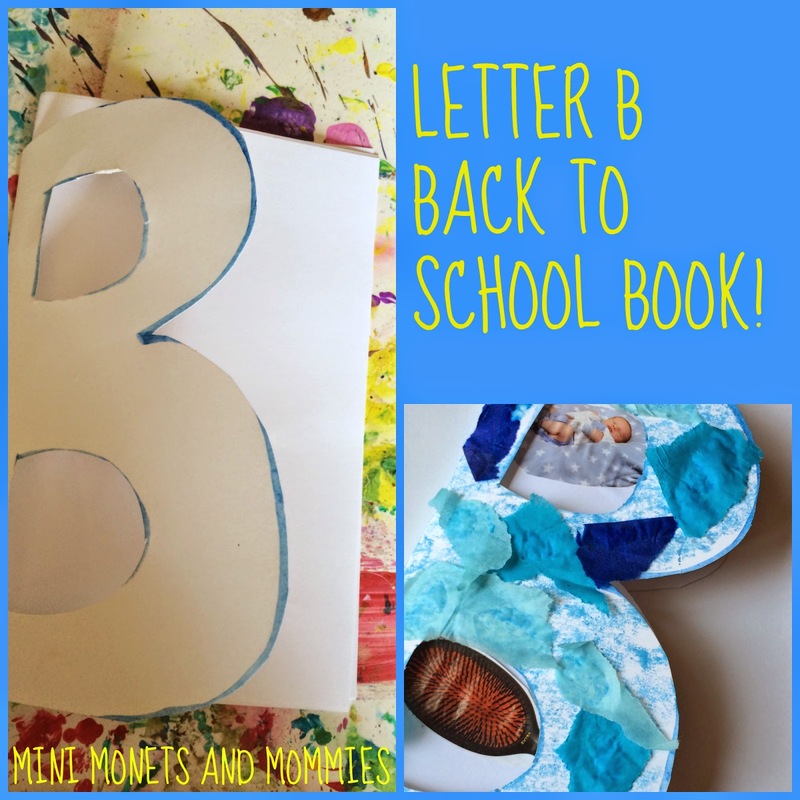 Follow Mini Monets and Mommies's board Letter and Literacy Kids' Crafts on Pinterest. We are working on the letter B at my house this week. Thanks for the inspiration. I hope you come share again at the Love to Learn Linky party. We will be learning about letter B next week and this is GREAT!